TL;DR — HTTP/2 is awesome, but requires HTTPS, which is hard to setup. Let’s Encrypt and WordPress can make HTTPS setup simple and help achieve a faster web sooner. My eyes are heavy, my head foggy. Kind of feels like I’m in a dream right now. A couple of hours ago I got home from Philadelphia, where I attended the WordPress Community Summit and the first annual WordCamp US over the past 7 days. And man, what a time. There will be plenty of recap posts published this week, so instead, I thought I’d dig into one thing I got very excited about at the summit. If you don’t have HTTPS setup, you have do that in order to get HTTP/2 as it is only supported over HTTPS. Unfortunately setting up and managing HTTPS is currently a huge pain. You have to generate a CSR, go to a certificate vendor, verify that you’re the owner of your domain, buy a certificate, install it on the server and configure your web server to use it. Then every year you have to go through the first part of the process again, buying a certificate renewal, and replacing the certificate files on your server. It’s an annual annoyance that no one wants. The process is also terribly broken as well. Ever have a certificate vendor send you your certificate pasted into the body of an email? I have. An email! 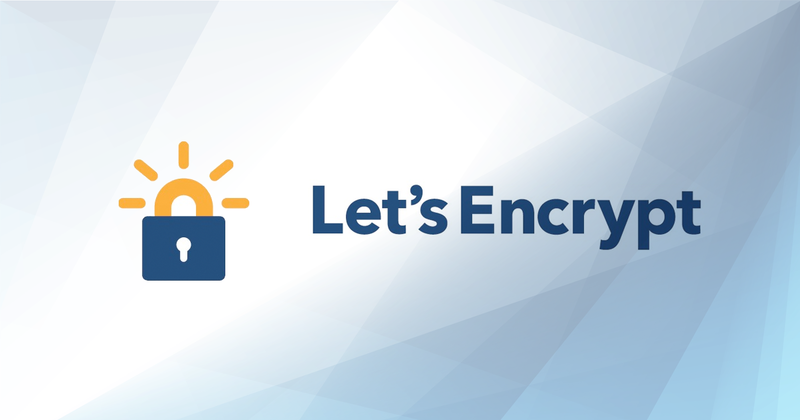 Enter Let’s Encrypt, which just went public beta last week. The goal of Let’s Encrypt is to offer free certificates and automate their issuance and renewal. It’s being developed by an organization backed by Mozilla, Facebook, Automattic and some other big companies. Here we’re specifying our webroot folder so that it can place a file in there to verify domain ownership. Pretty neat. Certificate files end up in /etc/letsencrypt/live/example.com. So now you just need to update your server config with the necessary directives referring to those certificate files. Already soooo much easier than before. But what if it could be even easier. This is the part that I learned about at the summit and got excited about. Enter WordPress. As you probably already know, around 25% of the web runs on WordPress. When WordPress changes, the web changes. The impact is huge. And so, what better way to convert the web to HTTPS than to use WordPress. Specifically, a WordPress plugin. The plugin will interact directly with the Let’s Encrypt API, so no need to download and install a command line tool. It hasn’t been decided yet, but I’m guessing it will follow the official Let’s Encrypt client and store certificate files in /etc/letsencrypt/live/example.com or at least encourage you to move them there. I highly recommend checking out the GitHub repo and specifically the CONTRIBUTING.md file to learn how you can help out with development, testing, etc. At the time of publishing this article, the focus is building a PHP library to implement the ACME protocol and interact with the Let’s Encrypt API. As I said before, one of the main goals of Let’s Encrypt is automating the renewal of certificates. In fact, Let’s Encrypt’s certificates are only good for a max of 90 days, then they expire. That’s a huge departure from the 12-month lifetime you get when you pay for a certificate. The theory here is that having a short lifetime will annoy people who are doing it manually and encourage them automate renewal. I know it would be incredibly annoying to me if I had to manually renew my certificates every 90 days. I want to reiterate that the WordPress plugin hasn’t been released yet and the command above is just an example of what it could be when it’s released. HTTP/2 is the future of the web. Converting the HTTP web to HTTPS is the path to get there and so setting up HTTPS has to get a lot easier and ongoing maintenance almost eliminated. Fortunately with Let’s Encrypt, easy is now possible, and soon it will be even easier with the WordPress plugin. I’m really looking forward to a faster web. This entry was tagged CLI, WordPress Development Tips, Security, Nginx, WP-CLI, System Administration, HTTPS, Let's Encrypt, HTTP/2.